The NBA 2K franchise is back with the most-true to life NBA experience to date with NBA 2K16. NBA 2K16 is packed with enhancements, new features, updated rosters, and more opportunities to earn Virtual Currency. NBA 2K16 also includes the popular MyCAREER mode as well as a new soundtrack curated by pop super-producer DJ Mustard, renowned producer and rapper DJ Khaled, and legendary hip-hop producer DJ Premier. With enhanced graphic and player models, new animations that provide smoother movement and more realistic articulation combined with new controls and expanded device support, it’s certain to be the most authentic NBA mobile gaming experience yet! • NBA 2K Store offers equipment, courts, VC, updated content, and much more. • Want to hear more in-game commentary? We’ve added a Free Optional download of vastly improved commentary. 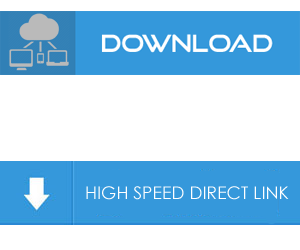 Select the Download Menu from the 2K Nav to get it. • Some of the NBA’s greatest all-time players have been added to the 2K Store. Unlock them for use in NBA Blacktop mode. • You can now purchase Boosts for MyCareer directly from the 2K Store. • Many additional bug fixes! How come the players skin are invincible?. how to fix this problem? v1.02 only works but v1.03 above all players are with invincible skin. Installing error. I’m not able to install in my ipad air 2.
can you upload it on torrent? Why? you can download it with full speed. I don’t understand.